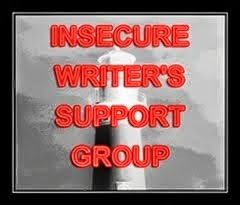 The Insecure Writer's Support Group is a large group of writers--and we post on the first Wednesday of every month. Thanks to August's co-hosts: Tamara Narayan, Tonja Drecker, Ellen @ The Cynical Sailor, Lauren @ Pensuasion, Stephen Tremp, and Julie Flanders! I started writing when I was 9. I wanted to be a "writer" by the time I was 12. To say that I have a backlog of childhood scribblings is not an understatement. Cheekily, I started calling it my "Juvenilia" because that's what Jane Austen called her childhood scribblings. I mean, none of it's good. Oh, except for a snarky poem that got published in the elementary school magazine; that one was pretty fun. I have some of these pieces in a folder, on yellowing pieces of looseleaf. I have some things from high school and more from college, too. It's the college stuff where I can really trace the things I'm interested in now, though---stories with diverse characters, engrossing characters. But as an actual, dead-serious aspiring author, what is my first piece? It might be Book the First, which is on this blog, though I had no intention of publishing that thing beyond the blog. But it's the first thing I wrote post-grad with the intention of finishing it and making sure it was book-length, so I suppose we can consider that my first piece as an aspiring writer. It's collecting digital dust and always will be. The reason I keep Book the First linked under its own Page is that I can really trace my writing abilities the past few years by reading it and then comparing it to anything I've written more recently. Or can we consider the first incarnation of my fictional Keegan family the first piece I wrote as an aspiring writer? I wrote that first version--a Regency-era romance--with the intention of revising it up to scratch so I could, possibly, submit it. I sent it in to a contest run by a chapter of the Romance Writers of America. At which I point I realized that while I like reading romance, particularly historical romance, I can't write it. Also, that family had too much backstory to fit into a 250 page manuscript. PEARL is an off-shoot of the Keegan family stories and she is on Kindle Countdown this week! I also want to tell you about a college friend who just published her first novel, Collecting The Constellations. 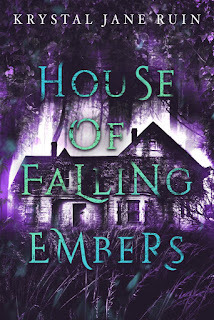 I'm almost finished with this smart, action-mystery-thriller and will be reviewing it and hopefully interviewing the author, Emily Steers, on the blog soon--but I thought I'd ask if anyone out there would be interested in hosting Emily as a guest on your blogs as well. You can check out her Twitter @EmilySteers. Maybe you will change your mind one day and revise Book the First and have it published. It might be a help to other writers and you can use it as a tool of how far you have come. I don't see that happening, but it had its time and place. Thanks for stopping by! I have some of the pieces in a folder. There are things from college I wish I'd kept. Each piece I write is practice that makes me a better writer. Practice is the key word. Whether the work gets published or not, it's still practice. We're better for it. Best wishes. I'm in RWA and have realized there are certain subgenres I like to read, but I'm not suited to write (namely historical!). That's a good indication you're growing as a writer to understand what you're skilled at and what not so you can focus. I'm all about the historical romance, but I can't write it. It comes out more silly than intense. I didn't know you put the Keegan's in a contest!! I started off with an adorable picture book called "The Thanksgiving Pig," origins unknown, but I illustrated it myself. Lol! My first "I'm serious about this" piece was actually in 2008. It was the first actual novel-length novel that I wrote. YAY, congratulations to your friend!! It sounds really fun. I'm going to check it out. I think the contest was in 2010? Maybe 2009? I got a lot of really good feedback from that. Older writing has to be included as part of the growth process...part of the journey towards making us better writers. Thanks so much! I hope you'll enjoy it when you get to it! Every piece is worth writing even if it never sees a glimpse of publishing daylight. Congrats to your friend. I'm going to take a peek! Thanks Tonja! And thanks for co-hosting! So no Regency romance, eh? =) Isn't it amazing all the steps we go through to get to where we are? I kept throwing in too much history and too many characters for a romance! So historical made sense. An inspiring story of the journeys you've made and how one step leads to another. Thanks for sharing this. Sounds like all your writing is inspiring. Writing is cumulative, I think--the more you do it, the more it builds. I love that you tried a few different genres and formats to find your voice, and Pearl sounds great! The cover is awesome. Thanks so much for visiting my blog during this month's IWSG. I really appreciate it. It's taken me a while to find my writing voice and hone it and mature it.